Get proven strategies to activate your highest potential. If you’re looking for the best energy supplements, there’s one of two reasons. You want more energy for higher mental and physical performance. As a peak performance coach for entrepreneurs, the topic of energy has been important to me for over two decades. Learning how to manage your energy throughout the day is key for high performance in anything. Books like The Power of Full Engagement made many people aware of this, but it’s still an area of blindness for most individuals, especially for entrepreneurs and high achievers who need it most. We are all familiar with these experiences. And the common denominator is a lack of energy. So whether we’re talking about getting the right things done, growing a business, actualizing your potential, or performing at your best … you need a healthy supply of energy to create. 1 – Biochemical or nutritional imbalances are so pervasive in modern culture that virtually everyone has biochemical (oftentimes hormonal) deficiencies to varying degrees. 2 – Psychological imbalances in the form of stress and emotional repression may represent that largest and least understood cause of fatigue. Most of us are fighting with and running away from past emotional trauma while we store up new grievances each day. 3 – Inadequate sleep is a common problem for many individuals, which leads to hormonal imbalances. Sleep is designed to restore the body’s energy, but modern life hijacks our circadian rhythm, making it difficult to recharge our internal batteries. 4 – Physical and/or mental overexertion is a product of neurosis, fueled by the belief that our worth is defined by doing more, being more, and doing it faster. Through the last two decades, I’ve spent untold thousands of dollars on supplements to treat various conditions and achieve specific improvements. In the course of my experimentation, I’ve come to appreciate the importance of context: of understanding what I’m taking and why, and being open to the experience (or lack thereof). Because there are inter-related factors influencing our energy, like so many problems in life, it’s important to take an integrated viewpoint. Meaning if you’re suffering from chronic fatigue and expect some energy pill to be your solution, you’re bound to be disappointed. I don’t care what the solution is, if it’s not grounded in a comprehensive protocol, it will fail. You might get an energy boost, but it will be momentary, and the benefit will fall off over time because of the process of habituation. Energy supplements are best approached from a holistic perspective, where they are part of a protocol, but not held as a panacea. So to get the best results from energy supplements, make sure you’re doing other things to support your energy and stop doing things that are “leaking” energy. I provide resources at the end of this guide to help you develop a comprehensive approach. 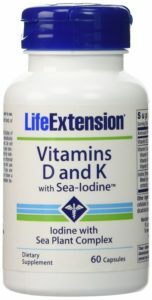 General vitamins and minerals that address common deficiencies. You are a random sample of one, meaning what works for one person may or may not work for you. Many people in the biohacking community take a scientific approach, performing blood tests and other analyses to understand their biochemistry. If this approach speaks to you, by all means, go for it. But for this general guide, I’m going to address common deficiencies that you can experiment with on your own. Let’s go through each of the best energy supplements and look at what the research tells us. Magnesium is definitely one of the best energy supplements to try first. Magnesium is a mineral that assists in over 300 biochemical reactions including blood pressure, muscle function, and energy production. 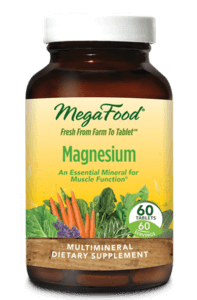 Magnesium deficiency was found in 50% of a patient group diagnosed with chronic fatigue. Studies also suggest that about 50% of individuals in the United States and Europe consume less than the daily recommended amount of magnesium. The easiest way to get a healthy dose of Vitamin D is through direct sunlight. Most of us receive insufficient sunlight, leading to Vitamin D deficiencies, which is linked to depression, anxiety, and excessive weight gain. How does Vitamin D relate to energy? This vitamin plays an important role in regulating mood. This study of overweight individuals with depression found that people who took vitamin D supplements noticed an improvement in their depression. Suppressing your bad mood or attempting to mask a bout of depression requires a tremendous amount of mental energy (even though we don’t often notice it). Vitamin D reduces emotional instability, freeing up your mental energy so you can direct it toward things that are meaningful to you. Vitamin B12 deficiency increases your risk of fatigue and weakness, according to the National Institute of Health. 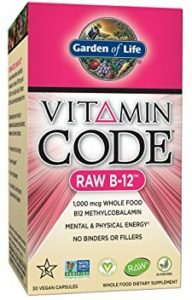 In taking vitamin B12 supplements for energy, try to find one with methylcobalamin for increased absorption. 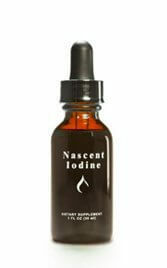 Iodine is a mineral found in sea vegetables like seaweed or kelp. This vital energy supplement assists the thyroid gland in regulating hormones and these hormones regulate metabolism and trigger the release of biochemicals associated with energy creation. I list iodine as one of the essential supplements for detoxing your blood and the pineal gland too, as iodine chelates heavy metals such as mercury, lead, cadmium, and aluminum as well as fluoride. While seaweed is a mainstay of an Asian diet, in the West, most individuals are iodine deficient. The last common deficiency is melatonin. Melatonin is a serotonin-derived hormone produced by the pineal gland melatonin modulates sleep patterns. The pineal synthesizes and secretes melatonin. Studies by Walter Pierpaoli and Georges Maestroni show that melatonin also increases performance and longevity in rats. But the pineal now tends to produce an insufficient amount of melatonin, leading to fatigue and accelerated brain aging. While there are many melatonin supplements on the market, I highly recommend you read this guide on how to improve your sleep and produce more melatonin naturally. Shilajit is one of the best energy supplements that you’ll likely feel right away. Shilajit is a plant material produced over millions of years from plants preserved in dark crevices of the Himalayan Mountains. Shilajit forms a thick resin that’s packed with 85 different trace minerals including fulvic acid. Numerous studies demonstrate shilajit’s anti-aging effects and how it protects against cellular damage. Shilajit also reduces chronic fatigue syndrome in rats. 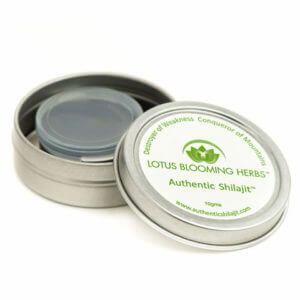 Many individuals will experience an energy lift after taking shilajit. 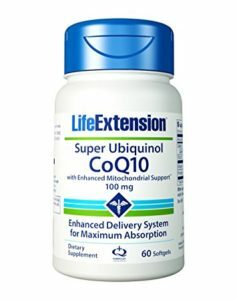 Every cell of your body needs CoQ10 to produce energy. This antioxidant is found in organ meat, fish, and peanuts. Our bodies tend to produce less CoQ10 as we age. Fatigue is one of the primary symptoms of CoQ10 deficiency. I personally didn’t experience any effects from this supplement, however, given the research, it’s worth experimenting with to see if it helps you. Ginseng is an ancient adaptogenic with energy-boosting characteristics, supporting the body’s response to stress, anxiety, and exertion. This double-blind study showed that patients suffering from chronic fatigue experienced increased energy and improved cognitive function. The challenge with ginseng is finding a high-quality option. 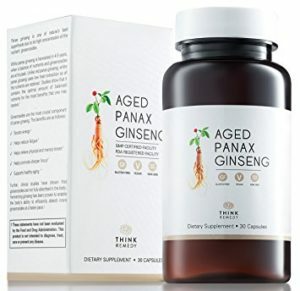 I’ve been told that Korean Panax ginseng is preferable. Red Panax Ginseng is one of the best energy supplements for some people, but not for others. 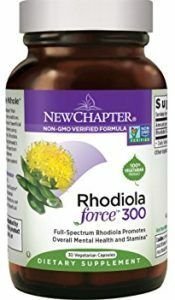 Rhodiola is a powerhouse nootropic for stacking or individual use. Rhodiola Rosea is a high-altitude herb native to the Arctic regions of Europe and Asia. Traditional Chinese, Scandinavian and Russian medicine use it as a remedy for fatigue and restoration. Research continues to demonstrate how this adaptogenic herb can increase our mental performance and reduce the adverse effects of stress, making it one of the best energy supplements to test out for yourself. There are over 160 published studies on this herb. This 2012 study shows that Rhodiola reduces many physical symptoms of fatigue including muscle soreness, sleepiness, and headaches. Rhodiola has proven to increase the brain’s capacity for mental work in the face of stress and fatigue. 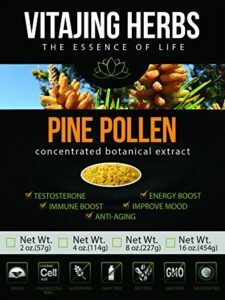 Finally, we come to perhaps my favorite and least well-known supplements for energy: pine pollen.This powerful adaptogen has over 200 bioactive, natural nutrients, minerals, and vitamins. Pine pollen has anti-aging properties and provides hormonal support. It has been used for thousands of years in China to reduce fatigue and increase energy and endurance. Western research on pine pollen is limited, however, it’s believed to boost testosterone. Even though pine pollen doesn’t have a stimulating effect, it can often be more energizing than caffeine, making it an ideal supplement for energy. Ultimately, to find what works for your individual makeup and biochemistry, experiment. It’s important to manage your expectations and not to expect immediate results. Similar to experimenting with Nootropics supplements, it’s often helpful to take a “stack” of the best energy supplements in a particular sequence. For example, you might take magnesium, D, and B12 in the morning, followed by ginseng and shilajit to increase your energy reserve. Then, you can take Rhodiola when you need to rest and restore your energy. If you need an immediate mental charge, turn to upgraded coffee. As I said at the beginning of this guide, you’ll get the best results if you take best energy supplements within a comprehensive protocol. These practices will help you ground yourself and become conscious of what drains your energy. With practice, you will no longer be plagued with fatigue and lethargy.